Increase In The Number of Musculoskeletal Diseases Are Anticipated to Accelerate The Orthopedic Medical Robots Market from 2018 to 2025. The global orthopedic medical robots market is expected to reach US$ 2,110.69 Mn in 2025 from US$ 375.49 in 2017. The market is estimated to grow with a CAGR of 24.1% from 2018-2025. The growth of the orthopedic medical robots market is determined due to the rise in the number of the musculoskeletal disease. Musculoskeletal conditions comprise of over 150 diagnoses that affect the locomotor system of the muscles, bones, joints, tendons and ligaments. These disorders range from the ones that arise suddenly and are short-lived such as fractures, sprains and strains to lifelong conditions associated with disability and ongoing pain. Majority of musculoskeletal conditions are characterized by pain, limitations in mobility, dexterity and functional ability, reducing people’s ability to work and participate in social roles with associated impacts on mental wellbeing, and at a broader level impacts on the prosperity of communities. Musculoskeletal conditions affect people across the life-course in all regions of the world. While the prevalence of musculoskeletal conditions increases with age, younger people are also affected, often during their peak income-earning years. According to the 2018 factsheet by World Health Organization, musculoskeletal conditions are the second largest contributor to disability worldwide, with low back pain being the single leading cause of disability globally. Moreover, according to the Global Burden of Diseases (GBD), the impact of musculoskeletal diseases (MSD) highlighted significant burden and were reported to be second largest cause of disability associated burden in its 2016 study report. In addition, the WHO also reports that between 20%–33% of people across the globe live with a painful musculoskeletal condition. Musculoskeletal diseases are one of the most common causes of severe and long-term pain as well as physical disability in the US. According to the American Society of Orthopedic Surgeons (ASOS), an estimated 126.6 million Americans in 2016 were affected by a musculoskeletal condition. Moreover, according to the data released by American Academy of Orthopedic Surgeons’ annual meeting in 2016, approximately 1 in 2 adults suffered with musculoskeletal disorder in the US. Given the significant rising impact of musculoskeletal disorders, potential applications of navigation and robotic technologies for orthopedic problems such as knee, hip and spine injuries are likely to boom and flourish witnessing their robust existence in the treatment and patient care in the future. The increasing number of musculoskeletal diseases are directly responsible for the increasing number of orthopedic surgical procedures across the world. According to the 2017 report of the American Joint Replacement Surgery, approximately 860,080 hip and knee replacement procedures by 4,755 surgeons were performed in 654 medical institutions in the US. Thus considering the facts and figure the market of the orthopedic medical robots are likely to propel the growth of the market. 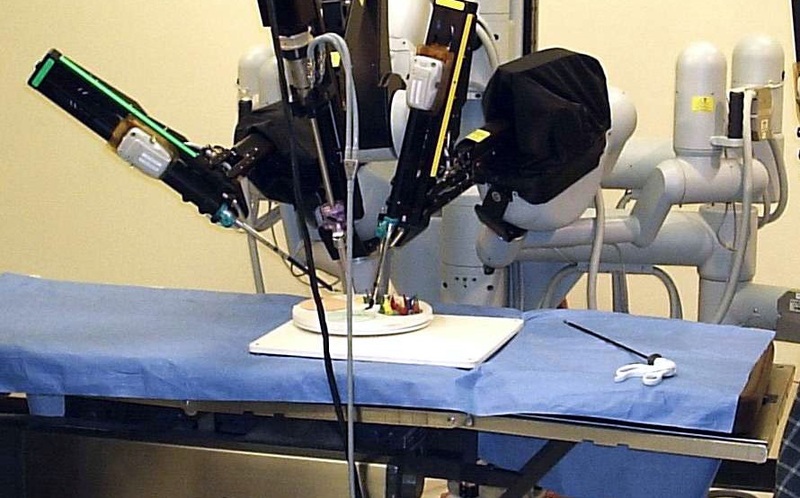 The major players operating in the orthopedic medical robots market include Smith & Nephew, Stryker, Medtronic, intuitive Surgical, Ekso Bionics, Zimmer Biomet, Wright Medical Group N.V., General Electric, THINK Surgical and OMNI among others.